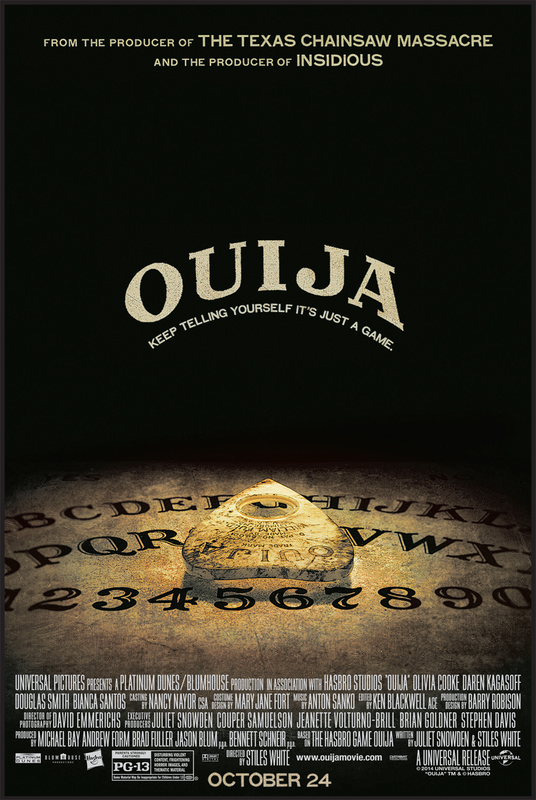 Ouija is a horror movie based on the official game by Hasbro. The film follows a group of friends attempting to make contact with a recently deceased classmate through an Ouija board, which has awakened a dark and chilling presence. In the midst of trying to make contact with Debbie [the deceased], their connection to the evil spirit has caused several of the teens to be killed.